LONDON As 2013 approaches in the West, the Iranian people are just more than a month into the Islamic year 1434. It's not shaping up to be a very happy one, at least if the Iranian economy is any measure. For millions of Iranians suffering the pinch of harsh international sanctions -- imposed as punishment for their government's nuclear work -- the economy is the measure. Iran's currency, the rial, has lost half its value against the U.S. dollar during the past year. That means imported electrical goods, everything from computers to vacuum cleaners, are now unimaginable luxuries for most middle class families. Even some foods, like chicken, which was once a staple, are now an expensive treat. There have been sad and damaging social consequences, too. "The number of muggers, street beggars, prostitutes and con-artists are all increasing, along with a brain-drain," an old friend writes me from Tehran. "The impoverishment of city dwellers is soaring." "There is no sign the theocracy in Iran wants to compromise... to reduce tensions with the West," my friend laments. "Unfortunately, the Iranian ideological regime is stuck in a mindset that makes me think of the Japanese on the eve of the nuclear attack on Hiroshima." In other words, Iran's leaders have shown no signs in 2012 that they're willing to stop enriching uranium, or even to cooperate more openly with the International Atomic Energy Agency, regardless of the cost to the Iranian people. And the cost has been tremendous. Iran's government has always relied on oil revenue to fund the workings of the state and pay its civil servants. But now the government is starved for cash. The sanctions have all but eliminated Iran's list of overseas oil buyers, and made it extremely difficult for most international banks to do any business with Iran at all. Oil production has sunk to a 32-year low. In 2011, Iran exported an average of two million barrels every day. Now it's selling less than 1 million. 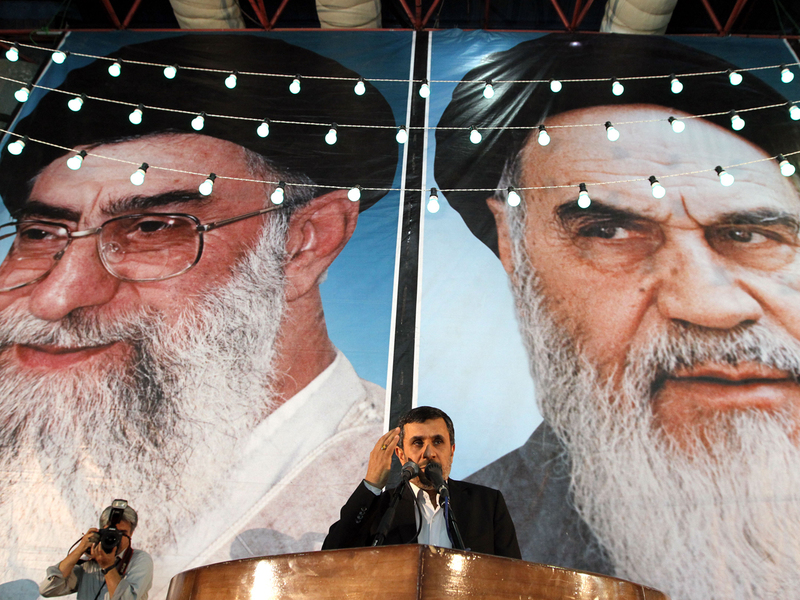 The real authority in Iran, Supreme Leader Ayatollah Ali Khamenei, has so far managed to deflect blame for the misery onto President Mahmoud Ahmadinejad, who has fallen out of favor during the past two years. Ahmadinejad, however, will only be in office for another six months. Iran will hold presidential elections in June. It's unlikely the new president will be content to play the role of whipping boy in a country filled with angry, suffering citizens who know their economy is edging closer and closer to depression and hyperinflation. Any hope that the Iranian leadership may shift its position, and seek a compromise with the West (and head off an attack by Israel in the process) lies with the Islamic Republic's next president -- whoever he may be.